One of the many drawbacks of our culture of 24-hour celebrity news is that it often becomes difficult to separate our perceptions of actors as people from the roles that they play. Whether deliberately or not, our ambient awareness of their personal lives always affects our appreciation of their performances. Brad Pitt’s passion for Cate Blanchett in The Curious Case of Benjamin Button is undermined by our knowing that off-screen he’s shtupping Angelina Jolie. Mel Gibson remains a talented actor, director and storyteller, and yet, rightly or wrongly, his career has been tainted by the public face of his personal demons. So too does the tragic real-life death of Liam Neeson’s wife Natasha Richardson following a skiing accident in Quebec a few years ago play subconsciously in our minds as we watch him as a broken, despondent and suicidal man in The Grey. But on this rare occasion, the tragedy of the real man only deepens the emotional impact of the story. Liam Neeson’s career has seen him play a string of men of uncompromising integrity on both sides of the great moral divide. He has a fatherly screen presence that has led to his frequent casting as a mentor to the movie’s true hero – as Qui-Gon Jinn in The Phantom Menace, Godfrey of Ibelin in Kingdom of Heaven, Henri Ducard in Batman Begins, Priest Vallon in Gangs of New York, Zeus in the remake of Clash of the Titans. Having once turned down the role of James Bond, the actor who embodied Oskar Schindler has in recent years begun to reinvent himself as a big-screen badass in the mode of early Clint Eastwood, in movies like The A-Team, Taken and Unknown. The trailers for The Grey lead you to believe that it leans more toward the latter, that the big Irishman will be doing bare-knuckle battle this time not with white slavers or international assassins, but with those most vicious of Nature’s killers, wolves. Not so. There are wolf fights in the movie, but they are not its raison d’etre. Rather the story is more of a solemn meditation on the inevitability of death and our free will in deciding how we will meet it – as exemplified by the poem above. In a rare, precious world teeming with life, humanity has, ironically, spent a great deal of its existence in an obsession with life’s end, questioning what comes beyond, and sadly, crafting inventive ways to hasten its arrival. There will be a moment in everyone’s time when he will speculate about his death, what form it will take, and whether he will go out in the archetypal blaze of glory or in quiet, frightened solitude – as though the meaning of the entirety of one’s life can be encapsulated in and defined by its final moment. Liam Neeson the man may have pondered this question before, but certainly has had greater cause to dwell upon it since the loss of his wife – much as for me, death was only the thing that happened to the bad guys in the movie, until my father passed away. I’m reminded of the scene at the end of Saving Private Ryan when the elder Ryan turns to his wife and pleads with her to assure him that he has lived a good life, that he has been worthy of the sacrifices made by others so he could go on. It’s important that we ask ourselves that question not as the end nears, but every day, even in the moments when death is the furthest from our thoughts. Are we the most of what we can be? And when the end does come, will the course of our individual history enable us to stand proudly against it, or will we let silence slip over us without resistance, in quiet shame and lingering regret? The final line from the poem in The Grey is the most telling and the most interesting since it is misquoted on the movie’s poster. Where the poster asks “live or die on this day,” the true line is “live and die on this day,” suggesting that the moment we face our death is the moment, and the singular chance, to appreciate life in all its magnificence. Liam Neeson plays a man who is willing to let death take him as the movie begins, and by the end, is alone, forsaken by man and God, but, having come face to face with the depths of his soul, is now raging against the dying of the light. It is a cathartic journey to be admired, as we watch a man strip away the layers of doubt to discover the purest truth of who he really is, crystallizing at the moment the screen cuts to black – a perfect, if controversial ending to this tale – for we, the audience, cannot know another man in the way he knows himself. That question is up to each of us as individuals. That’s our choice, our challenge. To live and die on this day. My father and I bonded over baseball. He shared seasons’ tickets with a friend, and because he knew more about baseball than said friend, managed to score all the best games. In the summer you would find us on the cold metal seats of Exhibition Stadium, nine rows up from first base, a couple of times a week, bonding with our fellow fans as we cheered for Dave Stieb, George Bell, Damaso Garcia, Willie Upshaw and Jesse Barfield; as we screamed at umpires for bad calls, kept the score meticulously in the glossy $5 program, sang along to “OK Blue Jays” and did the ritual passing of the hot dogs and beer down the row to the guy ten seats in. My father was part of an amateur slow-pitch team, the Honda Hawks, and I was with him for every game, keeping score, managing the equipment and making sure the beers were cold. Discussion of statistics, standings, games back, trades, runs batted in and earned run averages was impenetrable to the other half of our family. Baseball was our thing, mine and his. I can recall how frustrated he was the night the two of us went out to see The Natural, and couldn’t find a theatre that carried it – we had to settle for Phar Lap. The Natural had to wait until its home video release a year later (back in the bad old days when it really was a year between theatre and tape). And it seems the perfect movie for a father and son to watch together, as we did, on our uppity Betamax VCR that spat the tape out seven times before giving in and playing it. For all its reference to classical myth, at its heart The Natural is truly about fathers and sons, and the relationship that they forge with each other through the game of baseball. Roy Hobbs makes his famous bat Wonderboy from a tree on his farm that is split open by lightning the night his father dies. Throughout his life we see him in search of father figures – the scout who pits him against The Whammer, coach Red Blow, New York Knights manager Pop Fisher, even, in a dark and twisted way, the sinister figures of gambler Gus Sands and corrupt Knights owner The Judge. It is only at the end when Roy reconnects with childhood love Iris Gaines and discovers that her son is also his, that he finds the elusive father he has been searching for – in himself, leading to the triumphant, explosive home run at the finale that showers Knights Field with rain of pure light, accompanied by the famous Randy Newman fanfare that cannot fail to bring a tear to the eye of every grown man who ever played catch with his dad. As Roy rounds the bases after that final blast, I can sense my father’s proud arm around my shoulders, and the warmth of the smile coming from his face. He’s been gone over twenty years, but I can still feel a little part of his soul whenever I watch The Natural – perhaps even more than I do looking at his photograph. 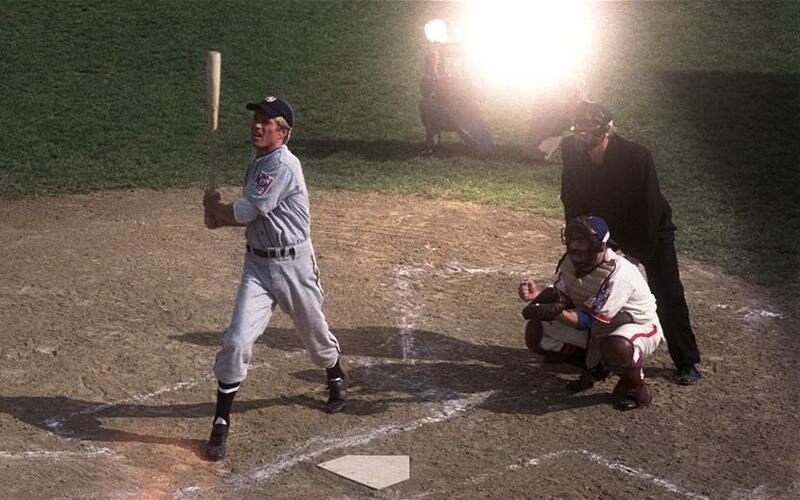 He loved baseball, he loved the movie, and his sharing it with me was a gift that I continue to treasure – and can live again whenever I happen across the incredible tale of Roy Hobbs. And like Roy, as I get older, I hope to come closer to finding, within myself, the part of my father that I miss the most. Few can disagree that 2011 was a forgettable year for movies. One is reminded of the 1994 baseball season, which, owing to a crippling strike, was the first without a World Series. You almost wish that the Academy Awards could skip a year themselves. A rule change a few years ago expanded the field of Best Picture nominees from five to ten, and this past year, the Academy couldn’t even gather ten films worthy of the top honour – settling instead for nine. And none truly captured imaginations and inspired the affections of millions, or infected the zeitgeist like famous films gone by; the closest contender is The Artist, whose primary selling point is that it’s a silent movie done in the style of the 1920’s – an exercise in Hollywood nostalgia (or navel-gazing if one wants to be cynical about it), and appealing most to old show business insiders heartsick for the halcyon days of Irving Thalberg and Louis B. Mayer. As a prime example of how low 2011 set the bar, the highlights of one of the performances nominated for Best Supporting Actress (Melissa McCarthy in Bridesmaids) is the character defecating into a sink. The Simpsons has a great word to express the apex of being unimpressed: for lack of a term more in the mode of the Queen’s English, 2011 in film was simply meh. But this isn’t the place to whinge about how Hollywood never makes anything good anymore, because I don’t believe that’s necessarily true. They just seemed like they were having an off year – maybe they were depressed after the triumph of the Tea Party in the mid-term elections. 2010 offered some fantastic entries, including two personal favourites – The Social Network and The King’s Speech. Both were masterfully written, impeccably acted and crisply directed, and both were essentially about a shy and retiring person finding his voice (metaphorically in the former, literally in the latter) and forcing the world to hear it. It remained an open question up until Oscar night which of the two would emerge on top – ultimately the Academy opted for the movie with the more endearing protagonist, and The King’s Speech was thus crowned (interesting trivia note, it was the second movie in a row to win Best Picture featuring a performance by Australian actor Guy Pearce, after The Hurt Locker in 2009, even though in that one he gets killed in the first five minutes). Visually, The King’s Speech is not as interesting as The Social Network, with its digital trickery in the portrayal of the Winklevoss twins by a single actor and the use of tilt-shift photography in a regatta sequence. Many of the shots in The King’s Speech are quite simple – medium and close-ups of the characters, slightly off-centre to indicate their lack of comfort in their surroundings and with others. But you cannot take your eyes away from the screen, because the performances and the writing hold you like a vise. 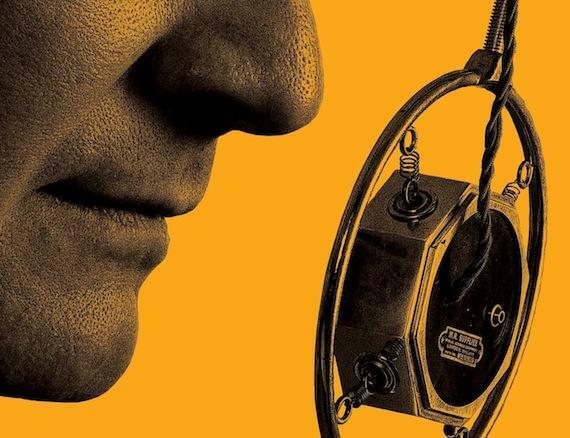 As much praise as Colin Firth deserves for his role as King George VI, with his commendable choice not to overact the King’s infamous stammer and thus render it cartoonish, for me the real joy in the movie is Geoffrey Rush as speech therapist Lionel Logue. I have decided that Rush is one of those actors I can watch in anything. As much as everyone raved about Johnny Depp in Pirates of the Caribbean, Rush was the unsung star of that film, creating a complex character despite a thin script with just the right smattering of Robert Newton thrown in. Rush can even elevate dreck like Mystery Men with his presence. Indeed, without Rush, The King’s Speech never would have been made – in a breach of protocol, the script was dropped off at his home without going through his agent first, but Rush loved what he read enough to get things moving. As mentioned previously, The King’s Speech and The Social Network are both masterpieces of screenwriting (indeed, they both won Oscars for their writers), but for very different reasons. The Social Network is Aaron Sorkin through and through; the cadences and references used by each character belong to that unique universe of his creation. David Seidler’s dialogue in The King’s Speech is equally remarkable, but for a different reason – how understated it is. 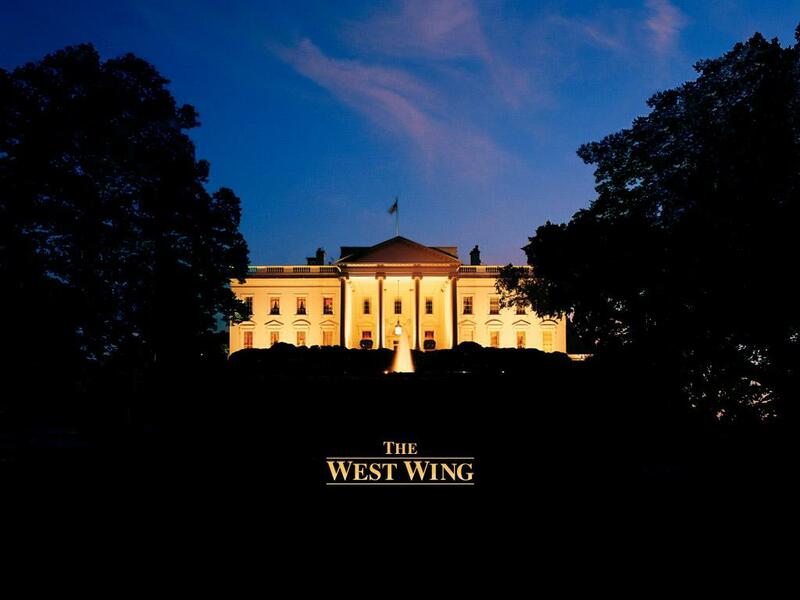 Although regular readers know I admire Sorkin greatly, sometimes it’s difficult to imagine any real person speaking the way he writes them – people aren’t that quick, witty, off-the-cuff or as complex in the iterations of their arguments. By contrast, there is wit and sharpness in the words of The King’s Speech, but amazing economy as well – the script is a mere 90 pages and very little was excised in the final cut. The wit and personality of the players seems more natural; there is less sense of the screenwriter typing the lines. Seidler is letting the characters speak, he is not forcing his words into their mouths. For a movie about finding one’s voice, this choice is not only appropriate but adds to the realism of the story and deepens its emotional resonance. They say as much as, and only, what is needed. And the richness of what they do say makes you want to go back and watch the movie again and again. If it happens to be airing on any given day, I am compelled to sit and watch the whole thing – and I still smile when dear Bertie pulls it off in the end. So far, 2012 does look to hold more cinematic promise – we have The Dark Knight Rises, The Hobbit and Skyfall all due to hit screens before the year is out. Perhaps we can consider 2012 to be 2011’s mulligan, its do-over. I’m hopeful as always, every time I sit back in the theatre and the lights go down, that I’m about to see the greatest movie I’ve ever seen. Sometimes, like with The King’s Speech, I come pretty darned close to thinking just that. A few weeks ago, an episode of The Simpsons took a poke at Lego, criticizing the volume of licensed Lego products and charging that the world’s favourite building toy is no longer about individual imagination and creation, but rather the mindless duplication of whatever the designers have created for you. Certainly Lego has changed since I got my first set back in the early 80’s. Back then, aside from the boxes of generic brick assortments, there were only three product lines – Town, Castle and Space. Nowadays, there’s Pirates of the Caribbean Lego, Harry Potter Lego, Star Wars Lego, Spider-Man Lego, and a forthcoming Lord of the Rings line, where you will finally be able to purchase a Lego Legolas (the mind trips at the metaphysical implications of that one). There are Lego video games, Lego board games, Lego cartoons, Lego movies, even a Lego Architecture line where you can recreate famous buildings like the Sears Tower or the White House. YouTube is full of amateur Lego recreations of classic movie scenes and Eddie Izzard’s comedy routines. And the surest sign that the popularity of the little Danish toy that could continues to swell is that much to the chagrin of parents, retailers almost never put it on sale. Lego comes as close as any product I know of to a textbook example of inelastic demand. Upon glancing through the Lego section of your local Toys R Us, it would seem that the trend has moved towards replication rather than innovation. The instructions enclosed with each set used to be harder to follow – you would be shown stages of construction and it was up to you to figure out which bricks you needed to find amidst the pile. Now everything is laid out much more clearly, with each brick given its own part number, arrows showing how they should be connected, and a helpful suggestion to assemble your set on a hard surface, not a rug (I guess during all those hours assembling spaceships on my bedroom carpet, I was doing it wrong.) At the same time, not that I’m keen to disagree with The Simpsons on anything, but upon deeper examination, their assertion is still not particularly fair. 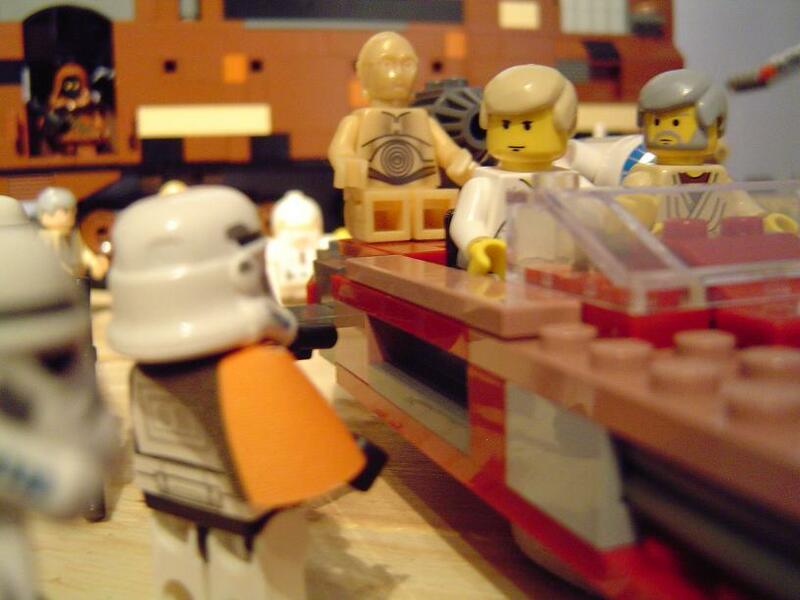 To its credit, Lego has been savvy enough to realize that their sets have different levels of appeal: some want to collect the licensed sets just to build them as presented, but the majority of Lego’s fans treasure these sets not just for the chance to build an X-Wing, but for the customized parts that can spur their own flights of fancy. The first Lego bricks were strictly rectilinear, but with the new lines came varieties of curved bricks and specialized parts like flags, steering wheels, fruits, swords and countless others that opened up new possibilities for creation – everything didn’t always have to be ninety-degree angles anymore. Indeed, builders both young and adult have flooded the Internet with images of fantastic constructions, some inspired by popular culture, others wholly new and inventive. One could be given a collection of paint and shown step-by-step instructions on how to recreate the ceiling of the Sistine Chapel, but the true artist will always use that paint as the building blocks – sorry about the pun – of their own unique fabrication. The same as how a keyboard could theoretically be used to retype A Tale of Two Cities, if that is your inclination, or it can help write a new, original masterpiece. Lego is at its core merely a tool for creativity, and the set designs are only one option for how to wield it. The use of the tool is up to the individual. There is still significant merit in “just following the instructions,” as some of my friends used to natter dismissively. A great number of today’s engineers are kids who grew up putting Lego together. It can be an invaluable vehicle for the conceptualization of spatial relationships. Personally, I have a profound interest and obsession with comprehending how and why things work – I’m not one to take the world on faith alone, and much of this I can trace to my fascination with watching Lego spaceships take shape one brick at a time. To this day I still find assembling Lego to be a most relaxing activity – my mind is at peace and my attention focused on the movement of my fingertips as each piece is connected to the next. If nothing else, it’s made me a genius at putting Ikea furniture together – so let no man assert that those silly plastic bricks are of no practical value in the real world. As far as I’m concerned, anything that fosters curiosity and a need for understanding is a good thing. UPDATE: This story came out the morning of January 25, showing the kind of creativity Lego can inspire. Alliteration can make a reader need an avalanche of Advil. Writing your sentences, dangling modifiers should be avoided. “Hallowed” is not spelled with a pound sign (#) in the middle of it. Pregnancy is a binary state, you either are or you aren’t. “Frumpy,” onomatopoetically, sounds like what it is. No one knows what “redoubtable” means. The fourteen punctuation marks in standard English grammar are: period, comma, colon, semi-colon, dash, hyphen, apostrophe, question mark, exclamation point, quotation marks, brackets, parentheses, braces and ellipses. The most lasting lesson, however, may be that fundamentally, it’s not a bad thing to want to appear smart, and that there is virtue in forever trying up your intellectual ante. One of our favourites is a duck named Quackers. He’s a beanie baby who came from my sister’s collection and somehow not only ended up with me, but survived a garage sale purge of dozens of his brethren along with his companion, a swan named Gracie. Normally they sit together in our closet, but on occasion, Quackers likes to go roaming. You’ll be selecting a shirt to iron for tomorrow when you’ll notice abruptly that Gracie is alone and bereft. Quackers can turn up anywhere – hiding under the bed covers, lurking on top of an open door, nestling among socks, shivering in the refrigerator, tumbling in the dryer, surfing the net or even, on holiday occasions, perched in the Christmas tree. The better half protests innocence in the matter of Quackers’ frequent sojourns – indeed it often seems that this yellow mallard has a mind of his own. Discovering his latest hiding place never fails to draw out a grin, regardless of the foulness (or is that fowl-ness?) of one’s mood. He is one sneaky little ducky, full of personality – though he never says a word, and the rational adult in me knows he was designed, stitched together and stuffed in an overseas factory along with thousands of identical cousins, and that he is nothing more than an amalgamation of cotton and polyester. We have a natural tendency to imbue animals, whether real, animated or stuffed, with human traits, and are inclined to respond protectively and with love to things that are innocent and helpless – the latter remains the highlight of our capacity for nobility as human beings. Corinthians has a famous verse about growing older and putting away childish things. There is a difference though, in what is childish and what is childlike. It’s important to hold onto the best traits of youth throughout life – honesty, excitement, creativity, imagination and wonder at the miraculous. These are often best embodied by the toys we treasured in the days when we knew nothing of money, politics or the cruelty of history. They are forever unchanging, locked into that part of our lives we sometimes wish we could recapture but remains, like memory and time, slipping ever faster through our fingers. 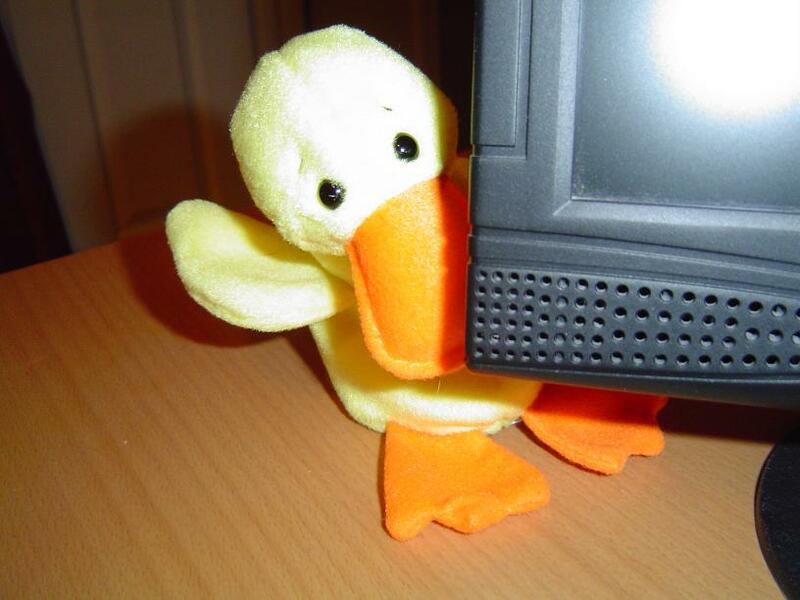 When I discover Quackers peering at me from behind my computer screen, I smile, and for a fleeting moment my soul is five years old on Christmas morning. Pretty amazing gift from a mere collection of thread and fluff. Thanks, little fella. Today, multiple sites across the Internet, including WordPress and the Great Encyclopedia of Earthly Knowledge (G.E.E.K., or Wikipedia) are blacking themselves out to protest two pieces of legislation moving through the United States Congress – the Stop Online Piracy Act (SOPA) and Protect IP Act (PIPA), which, if passed, could potentially turn back the clock on the evolution of the Internet. These two acts have been essentially written by lobbyists from the motion picture and recording industries, who, perhaps upset that their latest ADD blockbuster grossed only $199 million instead of $208 million, or that their hot new Auto-Tuned tone-deaf breast flaunter’s album hit #2 on the charts instead of #1, are going after any website that does anything with copyrighted content – you could find yourself subject to a lawsuit for uploading a YouTube video of your toddler shaking his booty to Beyonce’s “All the Single Ladies.” There are lots of good articles out there summarizing the danger posed by SOPA and PIPA, and I’m not going to rehash them here. What I can’t help thinking as I follow this story is that it all seems so terribly familiar. Knowledge is freedom and power, which is why oppressive regimes since the dawn of civilization have been trying to restrict it or stamp it out. Without venturing too far down the road of hyperbole, it’s hard not to see this latest strike at the commons as a new link in a long chain leading back to the burning of the Library of Alexandria. But for a second, just for the sake of balance, let’s put ourselves in the shoes of the ones pushing this legislation. They are creators of original work who are feeling that their rights are being infringed upon. Fair enough. As a writer myself, I can empathize with that to a degree. I have a novel I am ready to submit for publication, and were I to discover that someone else had stolen it and was making money off it instead of me, I would probably be livid. But it’s one thing to go after a guy selling millions of illegal bootleg copies of Mission Impossible: Ghost Protocol, and SOPA and PIPA don’t stop there. I’ve written here about the evolution of remix culture and how it is exemplified by the public reaction to shows like My Little Pony: Friendship is Magic. Remix culture isn’t there to take money from content creators – it embraces their work and applies individual creativity to form something brand new, for the sake of joy, not profit. And SOPA and PIPA take direct aim at remix culture like an H-bomb directed at some microbes on a hill. The White House has announced it will not sign these bills in their current form. Even if the President were to veto them outright, this issue isn’t going away. Yet listening to the complaints of the MPAA and the RIAA over copyright infringement remind one of the late Jack Valenti in the early 80’s likening the VCR to the Boston Strangler. The movie business survived the advent of Beta and VHS – it grew larger and more powerful, and gave us DVD’s and Blu-rays for our trouble. Home theatre is a thriving industry now. And the record companies survived mixtapes and Napster. What happened was that the doors were thrown open to newcomers of hitherto undiscovered talent who didn’t have to supplicate to the old guard to let their creative voices be heard by millions of people. We are seeing the ongoing democratization of creation, where what you can do is more important than who you know, and the old barriers to sharing your work are dropping away. SOPA and PIPA are an attempt to metaphorically burn the library – but even if they pass, even if they do set us back, evolution can’t be stopped. Creativity always finds a way – and the beliefs of the SOPA and PIPA-pushers to the contrary, the world usually doesn’t come to an end. 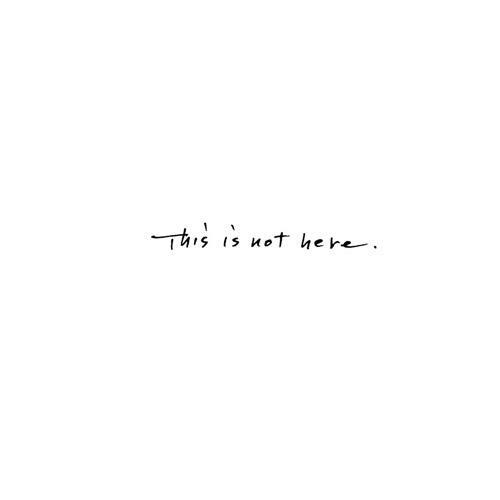 "This is not here," by Yoko Ono. Sam Shepard writes that the middle of the contradiction is the place to be. What exactly does that mean? The most interesting people I know are all walking contradictions – fearless and bold in some areas, shy and retiring in others; lighting up a room in one moment and crying in the corner in the next. You probably know a few yourself, anytime you’ve bemoaned of an acquaintance in an exasperated voice, “how can someone who is so X be such a Y?” There’s a scene in Full Metal Jacket when Private Joker is dressed down for writing “Born to Kill” on his helmet and wearing a peace symbol on his lapel, which he claims to be a statement about the duality of man – “the Jungian thing, sir.” That relentless duality is one of the most fascinating elements of humanity – that we are all, each one of us, the singular best and worst of what we are capable of being. If one will entertain a further pop culture metaphor, we are all Jedi and all Sith, even if we’re trying hard only to be one or the other. Where the Shepard quote applies, at least to my way of thinking, is in pinpointing that line between the two selves, and embracing it. Contradiction and hypocrisy can be mistaken for one another. Yet where hypocrisy – the judgemental application of standards to others that one exempts from oneself – is a despicable trait, contradiction is so very human. We are individuals, but live in societies. We want independence, yet desire love. We hunger for fame, yet cherish privacy. We need responsibility, yet value liberty. We want to show strength, yet need to be vulnerable. So much of us is rife with contradictions, and defined by a struggle between polar extremes – joy and sadness, darkness and light. In the crafting of story, a temptation is to forge characters as archetypes – to give them a single defining characteristic and then play only that note as the narrative unfolds, particularly if that narrative is tilted heavily towards plot. Luke is the farmboy craving adventure, Han is the seen-it-all space jockey, Ben is the wise old mentor. What makes for more compelling characters – and a richer story – is finding those contradictions and walking them as Shepard suggests, as if along the edge of a razor blade, danger be damned. That edge is where the best of drama is found: the evolving relationships with others as defined by the relationship within oneself. The journey of deepest meaning is the one taken inside the soul, and the contradictions are the bends in the road. A character flawed and full of contradictions is easier to empathize with and care about – for he is the embodiment of the duality of both the one and the many. The representative. The everyman. He is you. In this place, I have come to terms with one of my major and enduring contradictions and one that I suspect is common to many writers: the drive to share my words despite fear of their reception – the terror of being judged whether for good or for ill. In film school I remember learning about early Soviet cinema and the development of the theory of montage, the concept that thesis plus antithesis equals synthesis, or, more basically, an idea contrasted against its opposite brings forth a third, new idea. In film editing, the image of a man’s face followed by a cut to a shot of a bowl of soup creates the impression of hunger – a related idea perhaps, but still a new thesis standing apart from its component elements. Sam Shepard has it bang on when he says to look to the contradictions – that’s where we are, it’s the stuff of who we are. Each characteristic. For there are always two truths to each facet of a man, and the clarity of self is found somewhere in between them. When Shakespeare’s Lord Polonius intoned “brevity is the soul of wit,” he could have well been talking about Twitter – a most grandiose leap given the 400 years separating the publication of Hamlet and the launch of the Internet’s most popular micro-blogging site. 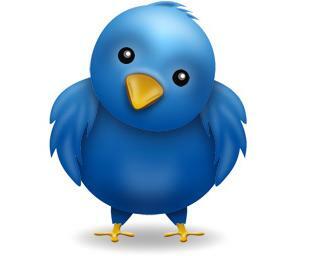 The restrictions of Twitter are part of its charm, and a large part of why it continues to be successful. It feeds our seemingly insatiable appetite for news, gossip and humour in the form of quick, easily digestible snacks in lieu of full word banquets. For someone like myself who can tend towards long-windedness, it forces us to compress our thoughts down to the salient details – it mandates the economy of language favoured by Ernest Hemingway, particularly if one harbours as much (well-documented here) contempt for textspeak as I do. Someone wiser than I opined that sending a tweet is like crying out into the darkness hoping that someone else will hear it and respond. If one can forgive a foray into existentialism, that is more or less life in a nutshell, isn’t it? Human beings are by nature solitary creatures craving community by any means necessary – at the most basic, genetic level, life must bond with life to create more life. So must ideas be expressed and countered with other ideas to create new ideas, lest they stagnate and die off. A social media concept of which I have recently become aware is ambient awareness; this is the idea that you can have a fairly comprehensive knowledge of what is going on in the life of a friend through periodic exchanges of short bursts of information, that is, texts and status updates, without ever sitting down for a full face-to-face conversation. I have never met most of the people I follow on Twitter, but I have still developed a rudimentary sense of who they are through reading what they have to say, even in 140-character increments – I imagine some of those strangers who follow me may also have gleaned an awareness Graham from my shared thoughts and more-than-frequent smartass remarks (at least the followers who aren’t spambots trying to get me to click on dubious links with the promise of the glimpse of silicone breasts). There is a purity to Twitter that Facebook doesn’t have, because Facebook is a closed, invitation-only club based on who you are and who you know (and all those pictures of your kids and status updates about their eating habits). Twitter, by contrast, allows you to interact with anyone, regardless of their status, physical location or social strata, based only on your words. It’s loquar ergo sum – I speak, therefore I am. You are defined by what you say, how you say it and also, what you choose not to say or respond to. In an age when it is increasingly difficult to separate art from our perceptions of the artist, Twitter’s constraints allow your words to stand on their own, on equal footing with people of renown and infamy. 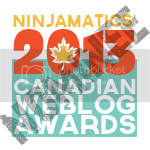 I think of it as carving one’s thoughts upon the blank slate of the public consciousness. It can be argued that by acting as a leveller of opinions, Twitter equates the statements of both the learned and the ignorant. But the choice of the Twitter user of who to follow and who to ignore ensures that you are the one deciding who gets your attention – not some anonymous producer with ratings and ad revenue on his mind rather than the enhancement of our collective conversation. It’s raw communication – and as multiple visits to Epcot’s Spaceship Earth have reminded me, finding new ways to communicate has been the epicentre of humanity’s greatest achievements. Not bad for a little birdie. As I suspect it was for most, my first exposure to The Verve was through the heavily-rotated music video for “Bittersweet Symphony” in the summer of 1997 – the weirdly compelling sight of this skinny, morose guy resembling an anime rendering of Mick Jagger, shambling down the streets of London’s East End and bumping into people, while wailing a surprisingly lush existential rock lament. “Bittersweet Symphony,” as audiophiles know, is built from a sample of an old orchestral cover of the Rolling Stones song “The Last Time.” Due to the peculiar ins-and-outs of sampling rights, and the greed of the Stones’ former manager Allen Klein, The Verve were forced to relinquish all royalties from their biggest hit, and forfeit writing credits to Jagger and Richards. But “Bittersweet” got people to buy the album – and enough people bought Urban Hymns to compensate The Verve for the bitter pill forced upon them by Klein. Just as well too – listening to the entirety of the album, if you just picked it up on the strength of the lead track, is like finding an unexpected caramel centre inside your piece of chocolate. You would expect that the remainder of the tracks couldn’t possibly live up to the heights reached by “Bittersweet” – that they do is one of the most enduring surprises in store. A lot of great art has arisen from unhappiness and The Verve are no exception. The English quartet (Richard Ashcroft, Nick McCabe, Simon Jones and Pete Salisbury) best known for their long psychedelic jams had already broken up once following the release of their previous album A Northern Soul. In fact, most of the tracks on what would become Urban Hymns were written by singer Ashcroft for a potential solo album. But the gang were persuaded to put their differences aside and give it one more go. Lead guitarist McCabe’s unique, trippy style elevates some of Ashcroft’s more pedestrian lyrical inclinations to create songs that are deeply emotional but dreamy at the same time. The album finds a decent balance between introspection and all-out rock: songs like “Sonnet,” “The Drugs Don’t Work” and “One Day” lean toward the tender, while “The Rolling People” and “Come On” let loose with primal fury; the latter even features a wild Ashcroft screaming a cathartic release of profanity as the album draws to a close. Those who grew up with the long-haired shoegazing iteration of The Verve will hear a tribute to their roots on the sole track bearing McCabe’s name in the writing credits, the aptly-titled wandering vibes of “Neon Wilderness.” And the album’s middle section features a powerhouse trifecta that is as good as anything the Stones themselves ever cranked out: “Space and Time,” “Weeping Willow” and “Lucky Man,” the latter of which no less a rock statesman than Bono once listed as one of the six songs from the last twenty years he wished he’d written. It is by no means a perfect album; Ashcroft veers toward the treacle, some of his couplets are quite awkward, and he can occasionally come off like Captain Obvious in his emotional pronouncements. But where he stumbles, McCabe and the others are there to pick up the slack, and the whole thing still manages to cook. 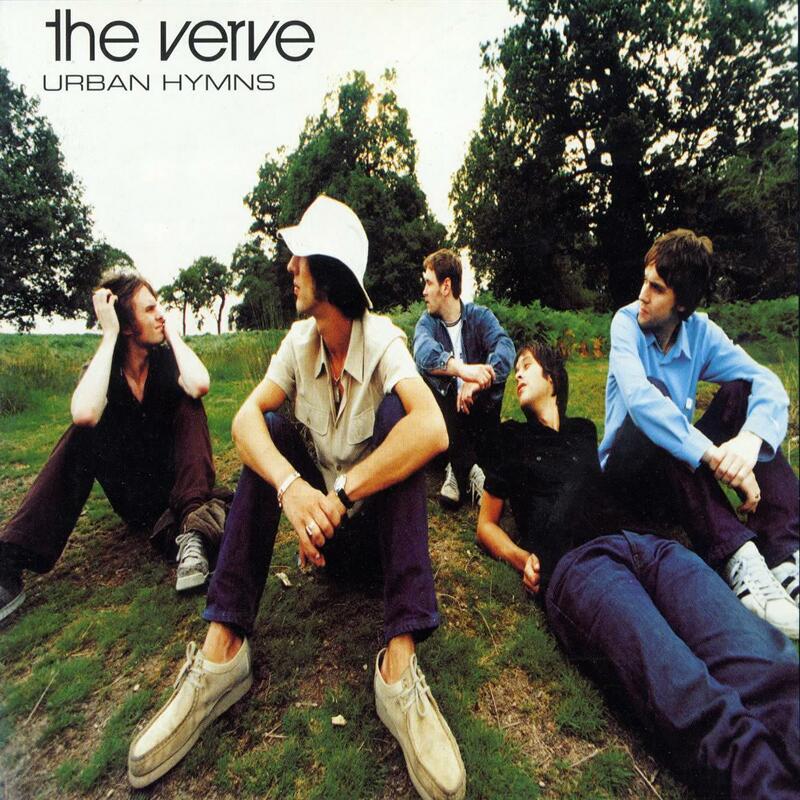 Ultimately, Urban Hymns contains enough treasure to be spread across three great albums, let alone this one solid, shining achievement – we listeners are lucky men ourselves that The Verve held together long enough to pull it off. Nick McCabe walked away in the middle of their subsequent tour, and it would not be until 2007 when tempers cooled enough between Ashcroft and the other three to try being The Verve again. The resulting effort, Forth, was a passable work, but only a glimmer of former greatness – whatever eclectic mix of ego and talent that had crystallized on the previous album wasn’t quite there this time, nor did it seem to be for the band, which promptly broke up again. In latter years The Verve have been written off as a one-hit wonder. But one would not dare set “Bittersweet Symphony” alongside the likes of “Disco Duck” or “Convoy” – The Verve have earned enough credibility with their signature song alone to merit a lasting berth in the echelons of rock. Fifteen years and a few regrettable commercial uses later (Nike and Vauxhall ads and the closing credits of Cruel Intentions), “Bittersweet” remains poignant, moving and powerful, a radio staple, and if nothing else, a beautiful song – one far more sweet than bitter.